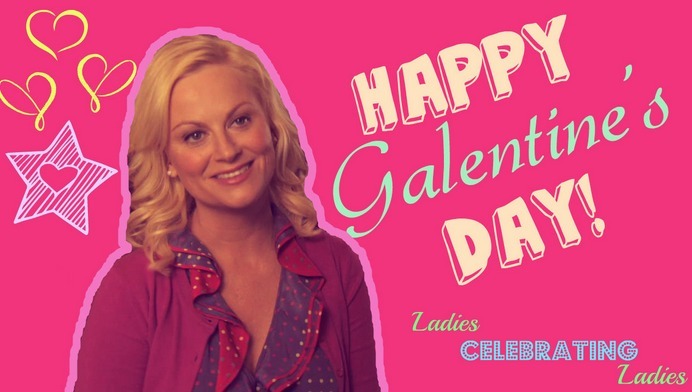 It’s Galentine’s Day, the day when I make waffles for dinner and eat them with Strong Female Drinks (not girly drinks) while watching the appropriate episodes of Parks and Recreation. It’s a day that Amy Poehler gave us to celebrate female friendship and sisterhood. I’ve been thinking about female friendship and strong women of late. The world needs strong women. It needs strong people to begin with, but we really need strong women. We need women who aren’t afraid to be themselves. It’s also really important to encourage women to be friends with one another rather than competing with one another. One of the things that I love about Leslie Knope on Parks and Recreation is that she builds relationships with the strong women in her life. She seeks out female friends and encourages each of those women to become the best version of herself. She can be a bit overzealous at times, but she means well. Leslie wants to see her friends succeed; it’s one of her greatest strengths. Galentine’s Day isn’t really about waffles or Strong Female Drinks. It’s about friendship with women. It’s about building up your fellow women, encouraging them to be their best selves, and being there for one another. We need that. We need strong women, and we need strong friendships between women. So make some waffles, mix up a Suffragette Soda, and enjoy some female bonding…because females are strong as hell.